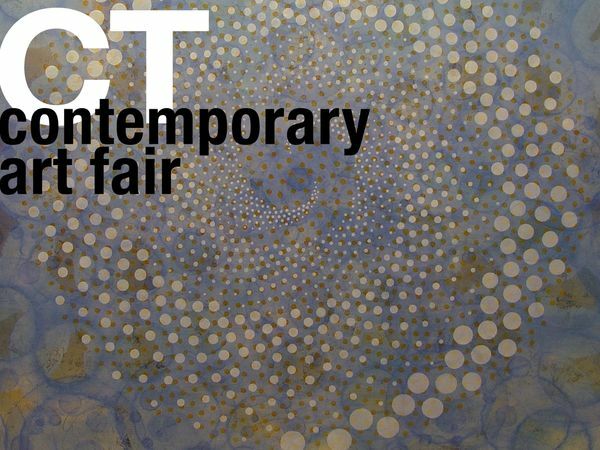 The art fair will offer a peak of what is happening now in CT’s contemporary art galleries. From Silvermine Events: CT contemporary art fair, offering a look into what is happening NOW in Connecticut’s major contemporary art galleries, will be held Friday, June 23, through Sunday, June 25, at Bedford Square, Church Lane, in the newly-designed town center that includes the restoration of the iconic Westport Firehouse and the historic 1923 Bedford Mansion. CT contemporary is the culmination of the three-part Cultivating Collectors series organized by the Cultural Alliance of Fairfield County and Silvermine Arts Center. Hours will be noon to 8pm on Fridayand Saturday, and noon to 5pm on Sunday. A special reception for the public, artists, and gallerists will take place on Saturday evening, June 24, from 5-7pm. Galleries participating in CT contemporary include Amy Simon Fine Art from Westport; EBK Gallery from Hartford; Fred Giampietro Gallery from New Haven; Isabella Garrucho Fine Art from Greenwich; Ober Gallery from Kent; Silvermine Galleries and Sorelle Gallery both from New Canaan. Each gallery will present visitors with background on their history and the art work they have on display. Gallerists and curators will also be available to talk with the public, and browsing is encouraged. The Cultural Alliance of Fairfield County and Silvermine Arts Center gratefully acknowledge the following sponsors whose generous support made the Cultivating Collectors series and/or CT contemporary possible: Bedford Square, Chilton & Chadwick, Media Sponsor Moffly Media, U.S. Trust/Bank of America Private Wealth Management, and the Westport Downtown Merchants Association. For more information on the art fair, visit www.silvermineevents.org or FCBuzz.org.